The 48th Annual UND Writers Conference, “Citizen,” will take place March 22-24, 2017, at the Memorial Union on UND’s campus in Grand Forks. The Conference will feature authors/artists who contemplate what it means to be a “Citizen” of the Red River Valley, North Dakota, the US, and the world in our current situation. The invited authors consider US life from a wide range geographic, cultural, and socio-economic backgrounds. Through conversations about their work, the UND Writers Conference hopes to facilitate a conversation about if or how art and literature can address issues such as health care, women’s reproductive rights, immigration, policing/prison reform, and the economy. The Conference will feature readings, panel discussions, book signings, workshops, and film screenings. ND EPSCoR's Center for Regional Climate Studies (CRCS) Science Café Series will be co-located with this year’s Conference. All events are free and open to the public. Free parking is available. For more information, visit the Conference website at www.undwritersconference.org or CRCS's website at und-crcs.org. Born in Vietnam in 1971, Viet Thanh Nguyen (as he explains on his website: "People not familiar with Vietnamese culture sometimes have a hard time pronouncing his surname….The Win version is closer to the Vietnamese and seems to be the favored choice for Vietnamese Americans") and his family came to America as refugees after the Fall of Saigon in 1975. Drawing inspiration from his life experiences, Nguyen’s debut novel The Sympathizer (2015) tells the story of a communist spy during and after the Vietnam War. When asked why he wanted to write a spy novel, Nguyen replied, “it’s a genre that I really enjoy and I wanted to write a novel that was actually entertaining, that people would actually want to read because I knew that I would also be dealing with a lot of very serious political and literary matters.” Indeed, Nguyen mixes thrill and humor with dark topics in The Sympathizer to give readers an alternative perspective on the Vietnam War. The novel won the 2016 Pulitzer Prize for Fiction and several other awards, including a place on over thirty book-of-the-year lists. The critical bookend to The Sympathizer, Nothing Ever Dies: Vietnam and the Memory of War (2016) is a finalist for the National Book Award in nonfiction and the National Book Critics Circle Award in General Nonfiction. Prior to becoming a world-renowned fiction writer, Nguyen, the Aerol Arnold Chair of Englishand Professor of American Studies and Ethnicity at the University of Southern California, was also a very well respected scholar of Asian American literature, politics, and critical race theory. 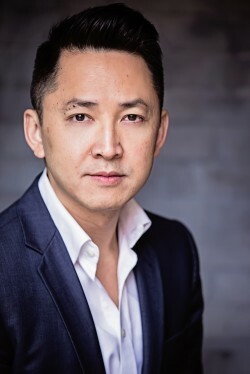 Viet Thanh Nguyen will read from his work on Wednesday, March 22nd at 8:00 pm. He will also participate in the noon panel on Wednesday with Layli Long Soldier and Mai Der Vang. The events will be held in the Memorial Union Ballroom at UND. ~Emmy Erbes is an undergraduate at UND, majoring in English and Music. From being born and raised in Zimbabwe to coming to Texas to earn her Master of Fine Arts in Creative Writing and moving on to earn tremendous literary accomplishment, NoViolet Bulawayo’s experience is far from what one would call “traditional.” Armed with a creative style that is both hard-hitting and humorous, she has found herself perfectly placed to act as a voice for a relatively voiceless group - that of the African immigrant. In reading her works, one becomes familiar with culture shock, alienation in a foreign land, and the need for reinvention in the face of a new world. Bulawayo’s debut novel We Need New Names—the first selection for Greater Grand Forks Reads, a community common read program—follows a group of Zimbabwean children during a time of great political change, particularly Darling, who is sent to the United States, only to encounter the variety of problems faced by undocumented immigrants. This work earned Bulawayo great prestige within the literary world, garnering awards including the Etisalat Prize for Literature (2013), as well as the Hemingway Foundation/PEN Award for debut work of fiction. It was also named to the shortlists of the Man Booker Prize (2013) and the Guardian First Book award (2013). Bulawayo herself has earned the Truman Capote Fellowship and was a Stegner Fellow at Stanford where she taught as a Jones Lecturer in Fiction. 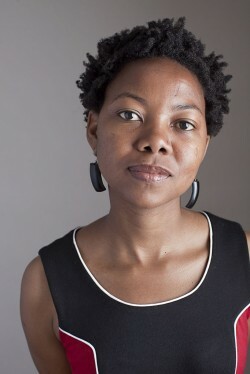 NoViolet Bulawayo will read from her works at 8 pm on Friday, March 24. She will also participate in the noon panels on Thursday, March 23, and Friday, March 24. All events will take place in the UND Memorial Union Ballroom. ~Spencer Valentine is an undergraduate student at UND majoring in English and double minoring in French and philosophy. 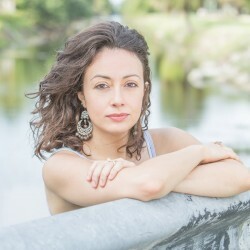 Author and assistant professor at the University of Nebraska- Lincoln, Jennine Capó Crucet was born in 1981 in Hialeah, Florida a few years after her parents fled Cuba. Inspired by her experiences of moving both inside and outside of the predominantly Latino community she grew up in, Crucet explores questions of identity and Americanization within her writing, as can be seen in her first work How to Leave Hialeah (2009). Crucet followed up her awarding winning short story collection with her striking debut novel Make Your Home Among Strangers (2015), which won the International Latino Book Award for Best Latino-themed Fiction 2016 and was longlisted for the 2015 Center for Fiction First Novel Prize. Inspired by both her experience as a first-generation college student and her work as mentor and counselor to other students like her, Crucet tells the story of Lizet-the daughter of Cuban refugees and her experience of being the first of her family to go to and complete a four-year college degree. Crucet’s book throws out a lifeline not only to first-generation college students, but also to anyone looking to find their way in the world as they work through the experiences that alter how they see their history and themselves. Crucet graduated from Cornell University with a BA in English and Feminist, Gender and Sexuality Studies and received her MFA from the University of Minnesota. In between teaching classes and supervising her dog’s twitter account (@ClarkeTheDog), Crucet is hard at work on another novel. 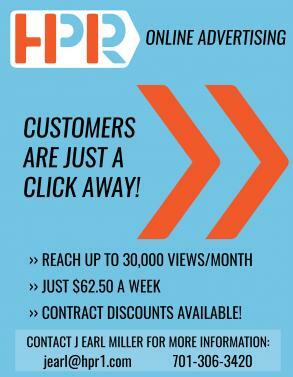 For more information, on Crucet visit http://jennine-crucet.squarespace.com/. Jennine Capó Crucet will read from her work at the UND Writers Conference on Friday, March 24th at 8 pm. She will also participate in the noon panel, "Community," earlier on Friday. All events held in UND’s Memorial Union Ballroom. ~MaKayla Valdez is a graduate student of English at UND. Jeff Shotts is the Executive Editor of the Minneapolis-based, independent, non-profit publisher Graywolf Press, which will release Whiting Award winner Layli Long Soldier’s debut poetry collection, WHEREAS, in early March, and 2016 Walt Whitman Award winner Mai Der Vang’s debut collection, Afterland, in early April. 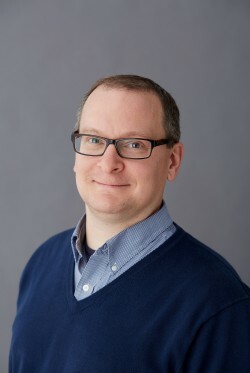 A lifelong reader from central Kansas, Jeff Shotts attended Macalester College in Saint Paul, Minnesota, where he studied Classics and English. While at Macalester, Shotts worked on college publications and on the campus art and literary magazine. In fact, Shotts actually began his career at Graywolf Press with an internship after graduating from Macalester. Within his first two months, Shotts landed an editorial assistantship. He continued to work for Graywolf for the next four years, first in his assistantship and later being promoted to editor. Shotts took a reprieve from his position at Graywolf to pursue an MFA in Poetry at Washington University in Saint Louis, Missouri. While there, he worked under such award-winning poets as Mary Jo Bang and Carl Phillips (both of whom have also participated in past UND Writers Conferences). It was there that he reaffirmed his passion for editing and publishing. After earning his MFA, Shotts returned to Graywolf Press in 2002 as Poetry Editor, eventually rising to his current position of Executive Editor. In Shotts's words, Graywolf Press publishes works that often challenge their readers—embracing diversity and thought-provoking issues. Although established in 1974, Shotts's has made significant contributions to the Press and helped to make Graywolf the well-respected publishing force that it now is. Graywolf has worked with many award-winning authors, such as Pulitzer Prize winners Tracy K. Smith (Life on Mars, 2013) and Vijay Seshadri (3 Sections, 2014), IMPAC Dublin Literary Award winners Per Petterson (Out Stealing Horses, 2007), Kevin Barry (City of Bohane, 2013), and several National Book Critics Circle Awards. In 2011, Graywolf poet Tomas Tranströmer was awarded the Nobel prize in Literature. Graywolf Press, itself, was awarded the Minnesota Nonprofit Freelance Award in 2012. Jeff Shotts will present on the nuts and bolts of editing and the publishing industry on Thursday, March 23rd at 2 pm in UND's Memorial Union Ballroom. He will also participate on Thursday's noon panel "Voices." ~Casey Kohs is a graduate student of English at UND. A 2016 recipient of the Whiting Award, Layli Long Soldier captivates readers with her provocative and innovative poetry. Long Soldier completed a chapbook, Chromosomory in 2010 and Graywolf Press just published her debut poetry book, WHEREAS, earlier this month. WHEREAS is a response to the 2009 Congressional Resolution of Apology to Native Americans, which was signed by President Barack Obama. In the book, Long Soldier presents her concerns as a writer, mother, and citizen of the Lakota Nation by responding to the Apology and US treaties with American Indian nations. She reaches back to discuss the hanging of the Dakota 38 and comments on current events like the Dakota Access Pipeline. Long Soldier has served as a contributing editor of Drunken Boat. In 2015, she received a Lannan Literary Fellowship and a National Fellowship from the Native Arts and Culture Foundation. Long Soldier earned a Bachelor of Fine Arts from the Institute of American Indian Arts and a Master of Fine Arts from Bard College. Long Soldier will participate in the panel, “Refuge,” on March 22 and the panel, “Voices,” on March 23. Both discussions begin at noon. She will read a selection of her poetry on March 23 at 4 pm and will lead a community workshop in poetry at 2 pm on March 24. ~Danielle Hale is a Masters student in English at UND. 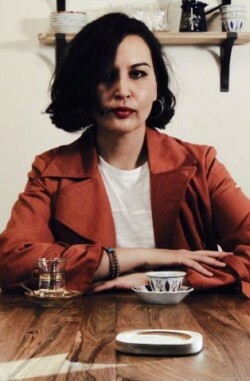 Hailed by Carolyn Forché as a poet of "deep attention, prismatic intelligence, and fearless truth," 2016 Walt Whitman Award winner Mai Der Vang (pronounced “my-der” where “der” rhymes with “her”) has proven her prowess within the literary world. With poetry that artfully weaves imagery and surprising diction, Vang crafts works that are innovative and "profoundly spiritual," leaving readers and critics alike spellbound. "I find myself pulling from a foreign imagination," Vang says, in regards to her dynamic blend of familiar and unfamiliar imagery, "I know most of the images don't exist, but I like thinking that including these images in a poem allows for them to be that much more possible and within reach." 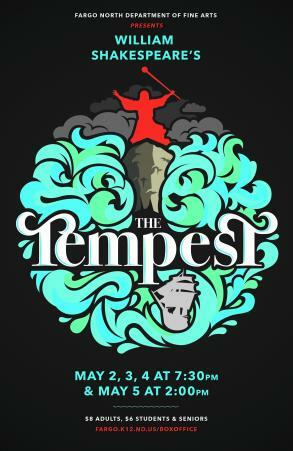 With her forthcoming debut book of poetry Afterland already garnering critical acclaim, Vang is adding yet another accomplishment to her already impressive list. Holding a Bachelor of Arts in English from the University of California, Berkley, as well as a Master of Fine Arts in Creative Writing in Poetry from Columbia University, Vang's work has been widely published. Her poetry can be found in Poetry, Virginia Quarterly Review, New Republic, and elsewhere. Her essays have been published in the New York Times, the Washington Post, and the San Francisco Chronicle, among others. 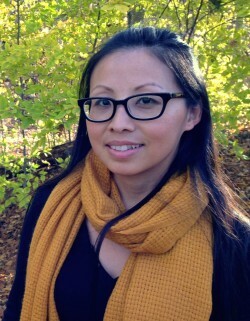 Beyond her numerous publications, Vang is an editorial member of the Hmong American Writer's circle, a recipient of the Corrente Poetry Fellowship, a residency recipient from Hedgebrook, and a Kundiman fellow. A resident of Fresno, California, Vang teaches at Clovis Community College and also works as a writing/creative consultant. Connect with her on twitter @maider_vang or by her website, maidervang.com. Mai Der Vang's talents will be a highly anticipated addition to the 48th Annual UND Writers Conference. Vang will read from her work on March 22nd at 4:00 pm and participate in panels on March 22nd and March 24th, both at noon. All events will be held in the Memorial Union Ballroom. 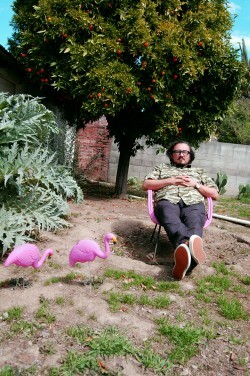 Mario Ybarra, Jr. is a visual artist, performer, educator, and activist. In his paintings, sculptures, installations, and performances, Ybarra assimilates cultural references in new and unpredictable ways. Ybarra redefines what it means to make Chicano art in the new perspective. In the installation Belmont Tunnel, Ybarra ties personal memory to historical developments by recalling his fondness for the site as a hub for graffiti artists and its historical relevance to the local community. Ybarra extends the public dialogue and social engagement evident in his installations to community-based activities. In 2002, Ybarra co-founded Slanguage, a collective gallery/ studio located in Wilmington, a neighborhood in the LA Harbor Region. Slanguage offers studio and exhibition space to teenagers, street artists, and established artists, with the goal of building community, offering interactive exhibitions, and encouraging dialogue about the meaning of contemporary art. Through his installations and through his leadership at Slanguage, Ybarra creates site-specific urban interventions. Mario Ybarra, Jr. will present from his work on Friday, March 24th at 4 pm. He will also participate in the noon panels "Voices" on Thursday and "Community" on Friday. All of these events will take place in UND's Memorial Union Ballroom. As the Myers Foundation Visiting Visual Artist, Ybarra will also give a craft talk on his work at 2 pm on Wednesday at UND's Hughes Fine Arts Center. ~Nicole Derenne in an instructor specializing in 20th and 21st Century Art History in UND's Department of Art & Design. The 48th Annual UND Writers Conference, "Citizen," asks what role, if any, literature and art can play in can addressing issues, such as health care, women’s reproductive rights, immigration, policing/prison reform, and the economy. However, in order to be a good citizen—whether of North Dakota or the world—one must also consider the role of science. To start answering this question, ND EPSCoR's Center for Regional Climate Studies (CRCS) will host a series of Science Cafés in a separate, but co-located, event during the UND Writers Conference. For those who are unfamiliar with it, the National Science Foundation (NSF) supports ND EPSCoR, or North Dakota's Experimental Program to Stimulate Competitive Research, along with matching funds from the North Dakota State Legislature. NSF EPSCoR's general mission is to help colleges and universities in states, like North Dakota, to become more competitive in their applications for federal research funds. But, central to ND EPSCoR's goal is the promotion of scientific discovery, innovation, education and training, as well as economic, professional, and workforce development to all of North Dakota, not only through North Dakota University System schools ranging from UND and NDSU to Dickinson and Valley City State, among others, but also to the state's five tribal colleges, like Nueta Hidatsa Sahnish College and Turtle Mountain Community College. In order to achieve these goals, it is essential that the people of North Dakota have an idea of what the research scientists across the state and their students are doing: Enter the CRCS Science Cafés Series. On March 22nd, CRCS researchers Drs. Cindy Juntunen and Ashley Hutchison from UND's College of Education and Human Development, along with their graduate student Meara Thombre will present "Helpful Hydrogels: A Useful Tool for Hands-on Learning." Hydrogels are a kind of nontoxic polymer that can absorb 500 times their weight worth of water. This unique characteristic of hydrogels makes them very useful material for creating such things as contact lens and diapers. However, one of the most important uses of hydrogels is to help keep lakes and rivers clean by preventing water runoff and soil erosion. In this demonstration, they will show how hydrogels can be used in the classroom to help young students get engaged with hands on learning. This talk will be followed by a period of time when the presenters will answer questions from the audience. On the following day, Thursday, March 23rd, Dr. Aaron Kennedy—CRCS researcher, storm chaser, photographer, and a faculty member in UND's Department of Atmospheric Science—will present "Extreme Weather of the Northern Plains." Kennedy will discuss how, for over a century, residents of this region have shown resiliency against the spectrum of hazardous weather phenomena. He will also talk about how events ranging from blizzards, to temperature extremes, to tornadoes have economic, personal, and societal impacts on our region. This presentation will explain why and when these events occur, and how they have varied over recent years. It will be followed by a period of time when Kennedy will answer questions from the audience. Finally, on Friday, March 24th, Dr. Anne Denton, CRCS researcher and member of NDSU's Department of Computer Science and Operations Research, will present "Fractal Dimension of Remotely Sensed Data." In addition to explaining what fractals and remotely sensed data are, Denton will talk about how the availability and resolution of images from satellites and unmanned air systems (UAS) are rapidly increasing, which means that we can ask questions that were only of theoretical interest in the past. One such question is the fractal dimension of geographical features. Take the coasts of lakes or oceans. Coastlines have bays and peninsula on a large scale, but when we zoom in, details may become visible that were hidden on the larger scale. Structures that have this property are called self-similar or “fractal.” She will look at the fractal nature of the coastline of Lake Sakakawea and show how the fractal dimension can be calculated. In fact, as Denton will demonstrate, it has become so easy to do these computations that the local fractal dimension can be treated as an additional layer of information, much like data from a different kind of physical sensor, but cheaper to obtain. This talk will be followed by a period of time when Denton will answer questions from the audience. All events are free and open to the public and will take place at 11:00 am in UND's Memorial Union Lecture Bowl.